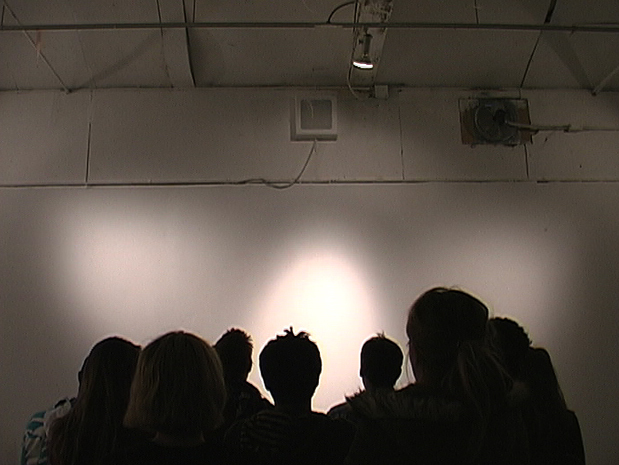 ‘The Microwave’ is a performance where participants were invited to sing as long as they liked on prolonged tones in the vowel /a/, and on any preferred pitch. Facing the wall amplified the sound and served as a reflective surface. > Duration video: 8’11’’ out of 11’’. > Presented at the San Francisco Art Institute, San Francisco (US), 2008.